Due to a lack of storage space, the Friends of the Portage Library are unable to accept any more item donations until after their first booksale (May 15th-19th). With any questions regarding item donations or the sale, please contact Judy at momofgjc9@gmail.com. With other general questions about the Friends of the Library, please contact Friends board president Linda at linda.floeter@gmail.com. Thank you! The Friends of the Portage Public Library began in 1988 to support library services in our community. Our dues and book sale proceeds support the library by assisting in the purchase of library materials and other items, and to support programs and events for all ages. We also assist with volunteer support. ~Sponsoring book discussions, program presenters and entertainers for all ages, and homebound delivery service. Our members enjoy offering a lending hand to library staff by helping with children's, teen, and adult programming, coordinating and leading book discussions, hosting and accepting donations for the annual book sale, and baking and supplying refreshments for events. We thank our current members and welcome new members in joining to support the Portage Public Library. Stop in the library and pick up a brochure explaining our areas of service and membership. The Friends membership year runs from January 1st to December 31st. Did you know that the Friends of the Portage Public Library have an Amazon.com Smile account? 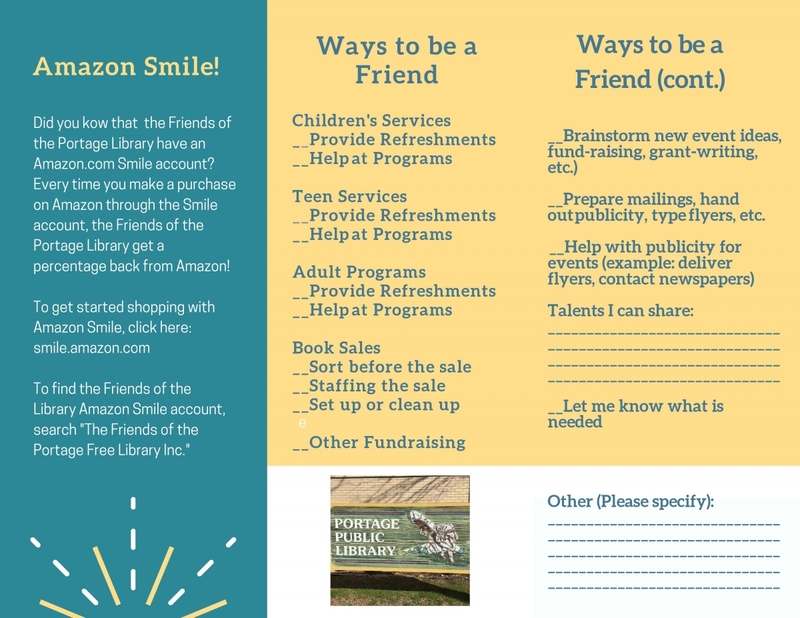 Every time that you make a purchase on Amazon through the Smile account, the Friends of the Library get a percentage back from Amazon, which then goes to support library programs and activities. To find the Friends of the Library Amazon Smile account, serach "The Friends of the Portage Free Library Inc."
Membership in Friends of the Portage Public Library runs from Jan. 1 to December 31, so if you haven’t renewed your membership for 2019, now is the time. Income from membership in the Friends of the Library organization helps pay for the extras for adult and youth programming, such as incentive awards for the summer reading program, occasional performer fees, refreshments, etc. Membership in Friends of the Library is a statement that you support literacy and the role of the public library in our community. The form below may be completed and returned to the library. 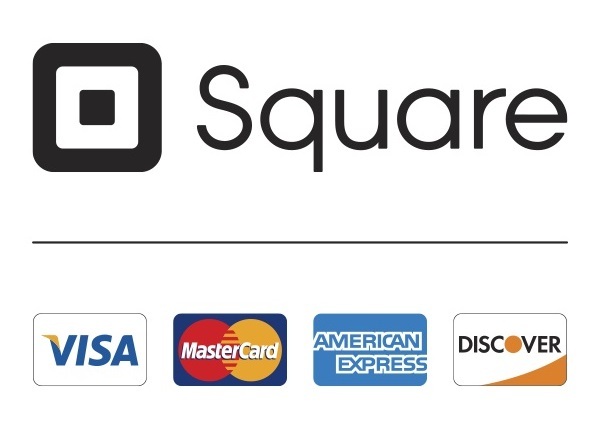 Make your check payable to Friends of the Portage Public Library. Please click here for a printable .pdf version of the Friends Membership Brochure. We appreciate your support!